FileMaker is a cross-platform database application. With help of FileMaker Pro you can create and manage business data. How to back up FileMaker files? 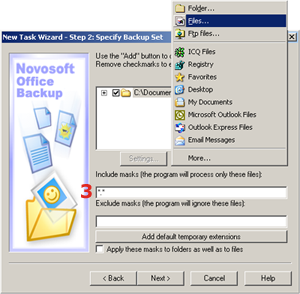 With Novosoft Office Backup you can easily create a FileMaker backup. By default FileMaker files are stored in My Documents folder. 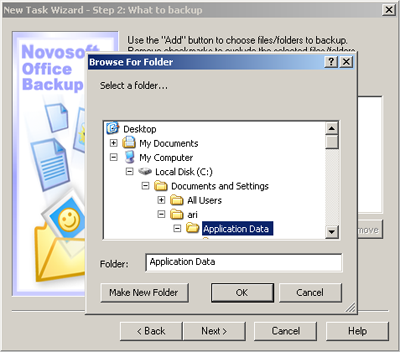 So you can back up My Documents folder automatically. 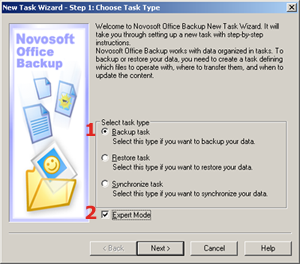 You can also specify FileMaker file extensions in Step 2 of the New Task Wizard: What to back up (Expert Mode) and Novosoft Office Backup will find and backup all files automatically. FileMaker file extension is *.fpt.